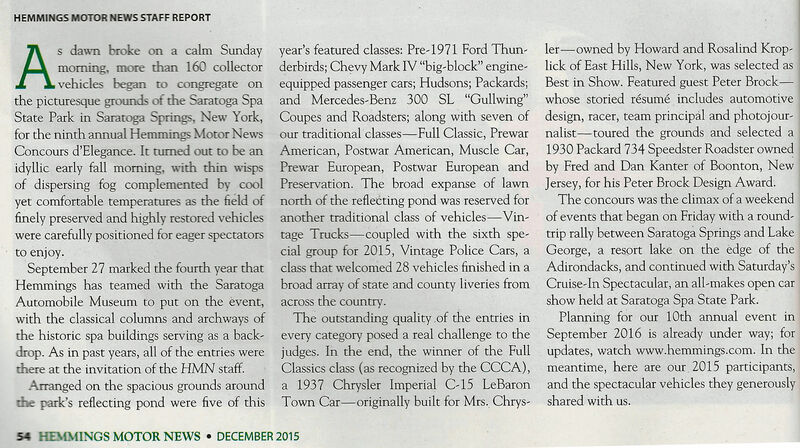 The December 2015 issue of the Hemmings Motor News features all the entrants to the 9th Annual Hemmings Concours d'Elegance held on September 27, 2015. 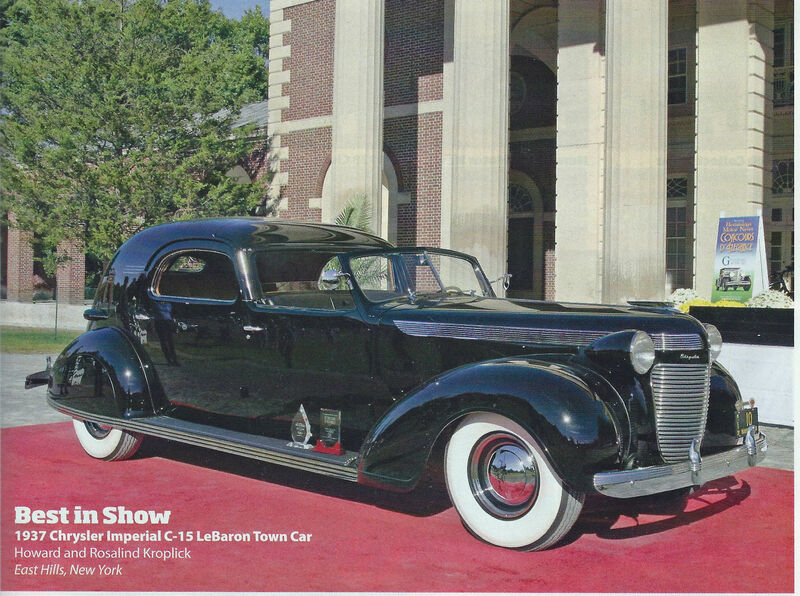 The 1937 Chrysler's Chrysler is highlighted on the cover as Best in Show. 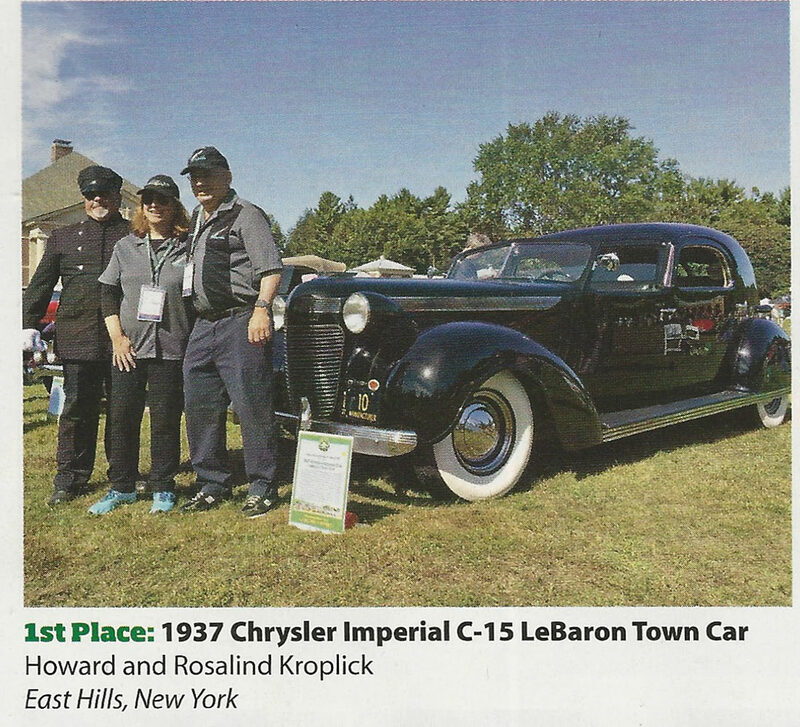 Congrats on the cover story of your Chrysler. I noticed that you now have side view mirrors,now for the two things on the running board,by chance are they trophies? Can’t make out what it says on them. 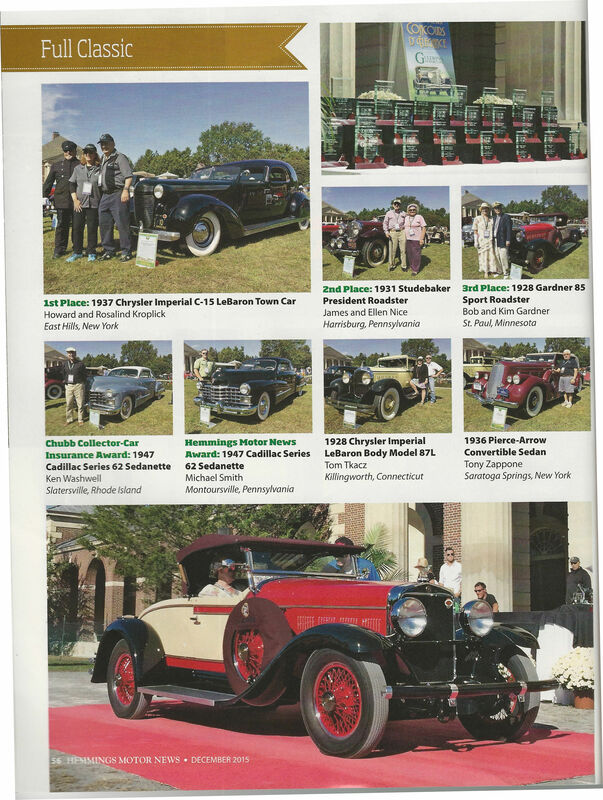 Side view mirrors were only off for the Pebble Beach Concours. 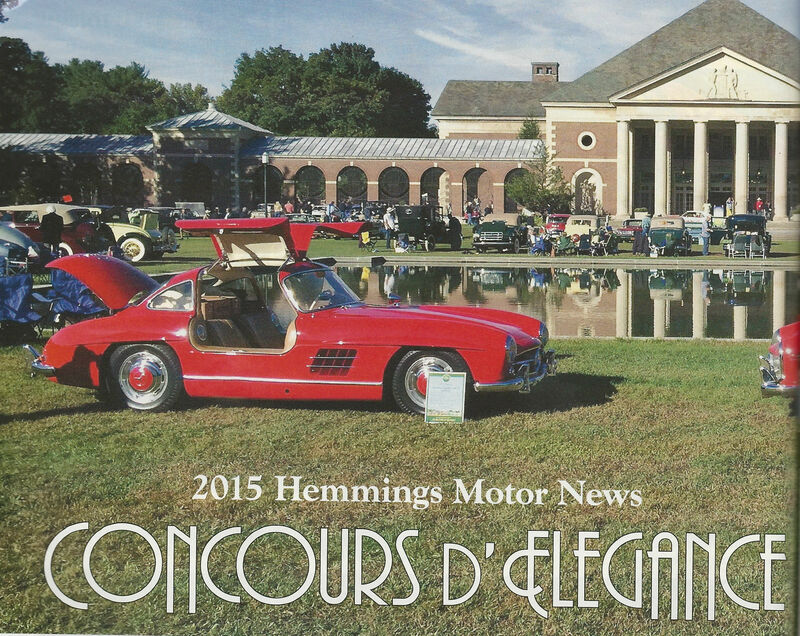 Those objects are the two Hemmings Concours trophies; Best in Show and Best in Class. Snatched from the edge of neglect to front page ....Well Done !!! !